This is a unique looking barn, being that it’s round. There appears to be seven figures standing in front. Three of them are children. I don’t know any of their names, unfortunately. Please comment if you know any of them. I wonder if Mrs. Frank Sterba wrote on the card in this way to fit more in. There’s no postage stamp affixed which leads me to believe postage was paid for in person. I think the red inked area says, “Base Hospital” and perhaps the postal worker imprinted it. We recieved your card. And I am sending you a picture of our barn for this time. we will write you a letter soon. We were glad to hear from you. 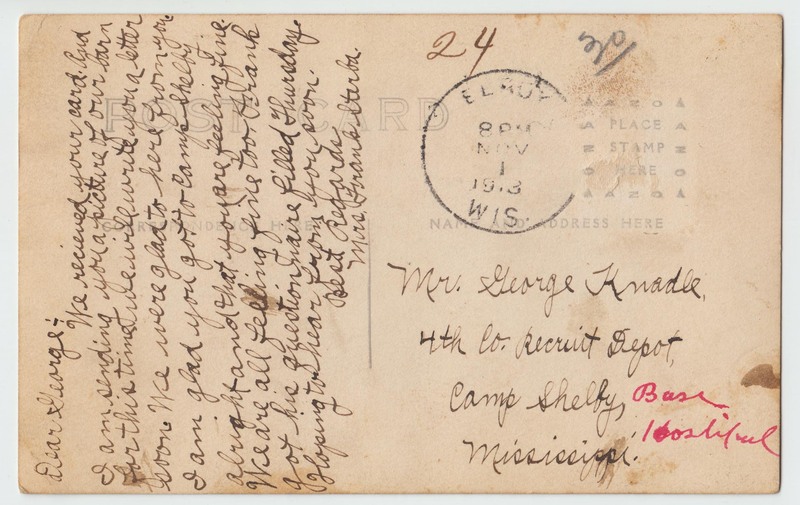 I am glad you got to Camp Shelby alright and that you are feeling fine. We are all feeling fine, too. Frank got his questionnaire filled Thursday. Hoping to hear from you soon. ELROY 8PM NOV 1, 1913 WIS. 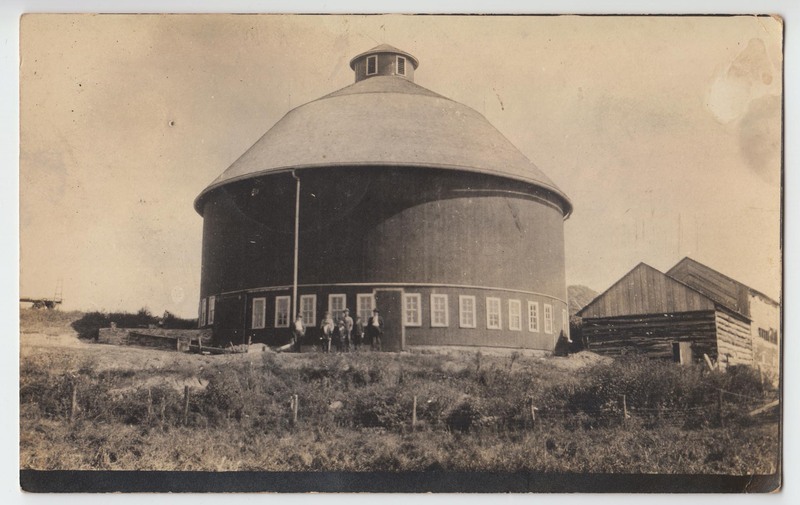 This entry was posted in Photograph, Postcards and tagged agriculture, architecture, barn, cancellation, elroy, farm, knadle, round, shelby, sterba by lancesknadle. Bookmark the permalink.